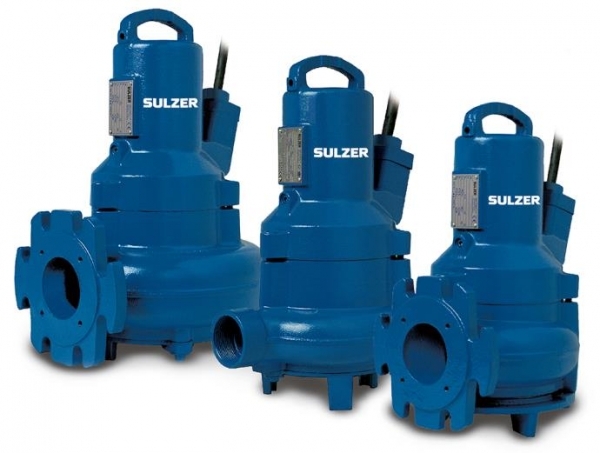 Flow N Control offers high quality, long-lasting submersible pumps from Sulzer/ABS. As an authorized manufacturer’s representative, we provide Sulzer/ABS’s newest and most advanced models, all of which feature the proven technology, durable construction, and superior performance the company is known for. Request a quote on Sulzer/ABS submersible wastewater pumps. Contact Flow N Control to learn more. Most Sulzer/ABS wastewater pumps feature the company’s premium-efficiency IE3 motors. Engineered for an ideal balance of reliability and energy consumption, IE3 motors provide low life cycle costs, reduced CO2 footprints, and extended working life. ATEX, FM, and CSA certified. Most models include an advanced warning system that allows for repair of the pump seal before water enters the motor. Manufactured from stainless steel, cast iron, and other durable materials, Sulzer/ABS submersible pumps are built to withstand even the harshest working environments. Robust mechanical seals, permanently-lubricated bearings, temperature monitoring systems, and more allow for long working life with minimal maintenance requirements. Our expert team will help you select the right Sulzer/ABS wastewater pump for your needs. Request a quote on submersible pumps, or contact Flow N Control to discuss your unique pumping application.